You didn’t know? Yes, there are legitimate cookie emergencies and times when a shortcut to a batch of homemade cookies is a real lifesaver. I always thought refrigerator cookies sounded kind of stale and frumpy and would flip through those recipes to get to something better. But, as often happens, looking back through the dated and discarded, this 1930’s trend is actually a perfectly modern solution to many snacking, entertaining & gifting needs. Maybe the word “Refrigerator” just made them sound boring and blah. “Icebox” somehow sounds more hip & delicious so around here, we have Icebox Cookies. Icebox cookies add a simple, convenient and downright elegant trick to your pantry that will help preserve that element of snacking spontaneity we all love so much. Modern convenience foods have nearly eliminated the distance between craving a snack and popping it into your mouth. Making your own snacks inserts a larger gap between the idea and the eating, naturally improves the healthfulness of the item and reduces the frequency of consumption. Why do I love prepared snacks in my freezer? Basic icebox cookies are adaptable and delicious. They come in filled swirls, basic shortbread styles, with and without fruit and can be dipped in chocolate for an extra degree of fanciness. As usual, I’m more of a get-‘er-done sort so I don’t spend much time making my swirls fancier nor do I especially care if my logs are perfectly round. But if you’re the sort to fuss over perfection, refrigerator cookies can be beautiful too. Me, I slap together a dough in the morning, divide it into four separate logs, and wrap the logs in plastic wrap or waxed paper. 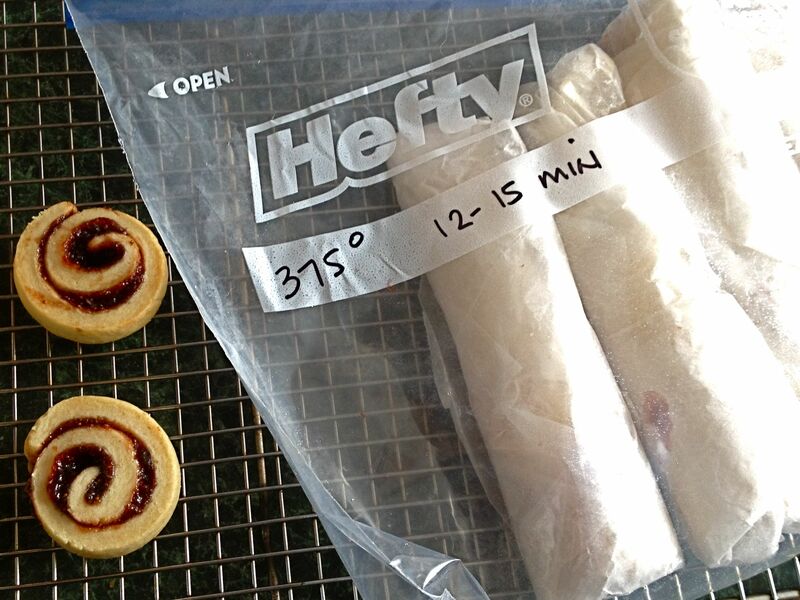 I write baking instructions on a freezer bag with a Sharpie, seal the logs inside and pop into the freezer for baking later. 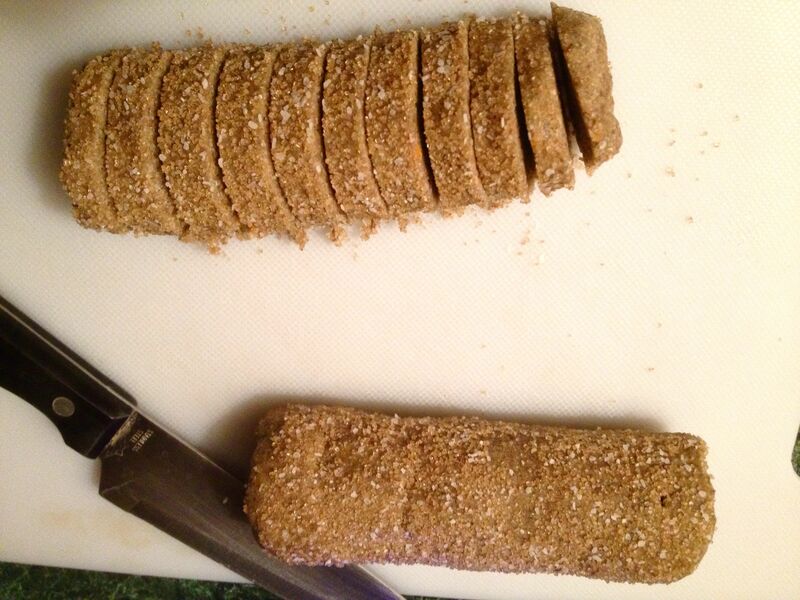 The logs require almost no time to thaw enough to slice, arrange on a baking sheet, bake & cool. I doubt you could make a trip to the store or bakery any faster. All with no mystery ingredients. 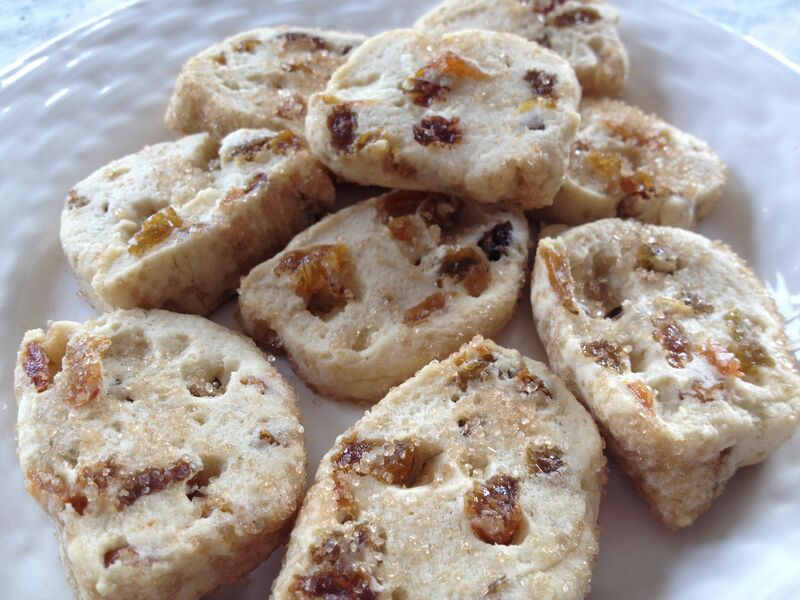 Golden Raisin Icebox Cookies – tender, crisp & rich, these are both rustic and sophisticated. Fruit Swirls – an extra bonus to this one is the recipe uses no processed sugar. Instead, use honey and dried fruit. They’re tender, rich and easily adaptable for a variety of flavors. 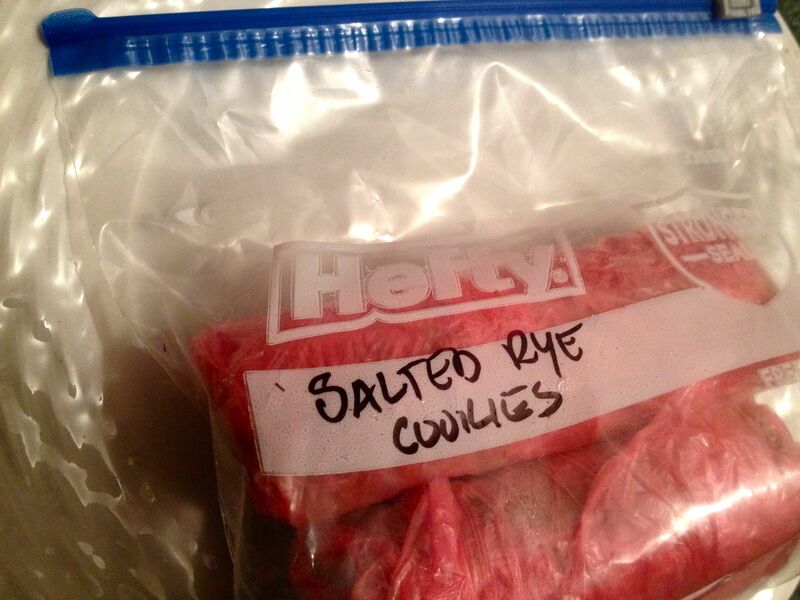 My current obsession: Salted Rye Cookies. 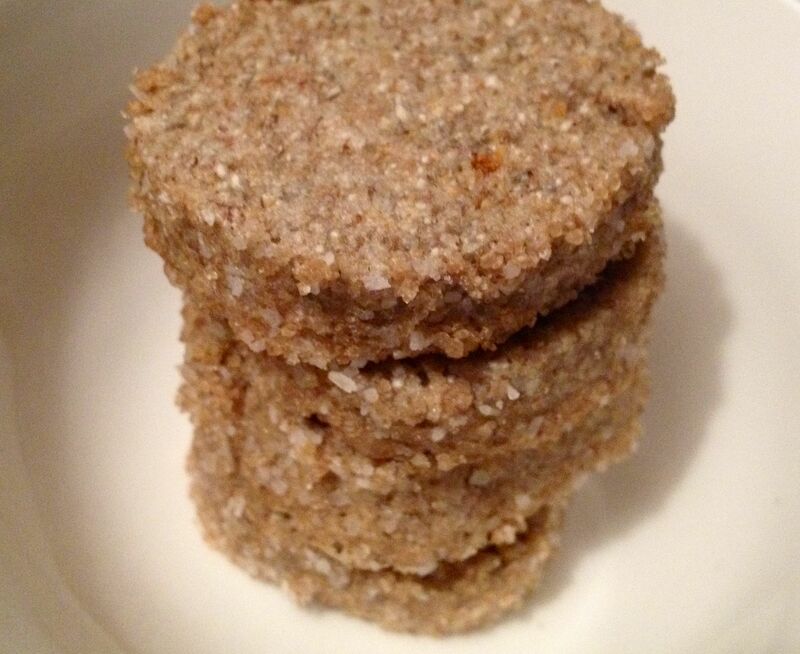 I love crunchy sugar crystals and was completely taken by this idea: these earthy rye rounds are rolled in a crunchy, crystal-ey mixture of coarse sugar and salt. Brilliant. Not so hard, right? What real foods snacking tricks do you have tucked up your sleeve? Next > in which we ask: are you hungry enough? I have to try Salted Rye! Love the sweet salty combo.